Sometimes you may see the word "NeoWicca" used at About Pagan/Wiccan. It's one that appears often in discussions about modern Pagan religions, so let's look at why it's being utilized. The term NeoWicca (which essentially means "new Wicca") is typically used when we want to distinguish between the two original traditional forms of Wicca (Gardnerian and Alexandrian) and all other forms of Wicca. Many people would argue that anything other than a Gardnerian or Alexandrian tradition is, by default, NeoWicca. It's occasionally said that Wicca itself, which was only founded in the 1950s, isn't even old enough to have established a "neo" version of anything, but this remains the common usage in the Pagan community. Much of the publicly available material labeled as Wicca in books and on websites is in fact considered NeoWiccan, simply because Gardnerian and Alexandrian material is generally oathbound, and is not made available for public consumption. 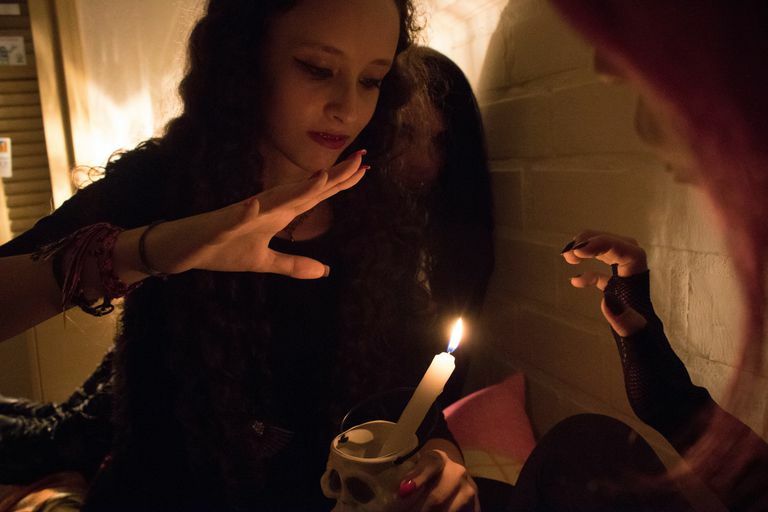 In addition, to be a Gardnerian or Alexandrian Wiccan, you must be initiated - you cannot self-initiate or dedicate as a Gardnerian or Alexandrian; you have to be part of an established coven. The concept of lineage is also important in these two forms of traditional Wicca. Keep in mind that the term NeoWicca is not meant to imply any inferiority to these two original traditions, simply that a NeoWiccan is practicing something newer and therefore different than an Alexandrian or Gardnerian. Some NeoWiccans may refer to their path as Eclectic Wicca, to distinguish it from the tradition Gardnerian or Alexandrian belief systems. In general, someone who follows an eclectic path of magical practice, in which they incorporate practices and beliefs from a variety of different systems, would be considered NeoWiccan. Many NeoWiccans adhere to the Wiccan Rede and the law of threefold return. These two prinicples are not typically found in Pagan paths that are not Wiccan. Fluidity of practice: Many NeoWiccans follow a set of beliefs and practices that are adjustable and adaptable to the needs and wants of the practitioner. In traditional - Gardnerian and Alexandrian - Wicca, there is a bit more structure and protocol that is typically followed. Inclusion of other metaphysical disciplines: if you're including things like Feng Shui, Reiki, holistic medicine, and yoga into your practice, then it's NeoWicca. Mixing and matching: traditional Wicca includes the honoring of the Wiccan gods, and their names are oathbound. NeoWiccan often supports and accepts the blending of deities from different pantheons - for instance, a practitioner might have a statue of Aphrodite on her altar, right next to a statue of Thor. Kiernan, who lives in Atlanta, follows a NeoWiccan structure in her belief system. She says, "I know that what I'm doing isn't the same as what the Alexandrians and Gardnerians are doing, and honestly, that's fine. I don't need to do the same as established groups do - I practice as a solitary, I got started by reading the outer court material published by people like Buckland and Cunningham, and I mostly focus on what works for me spiritually. I don't care about labels - I don't have any kind of desperate need to argue that I'm Wiccan versus NeoWiccan. I just do my own thing, connect with my gods, and it all seems to fall into place." Again, it's important to remember that the use of the term "NeoWicca" is not meant to imply any inferiority to these two original traditions, simply that a NeoWiccan is practicing something newer and therefore different than an Alexandrian or Gardnerian. Since it's unlikely that the Pagan community, as a whole, will ever agree on who is entitled to be called what, focus on your own beliefs and don't worry too much about that labeling. What in the World is a Blue Moon? What is the Cone of Power in Magic?